This past Saturday, I met up with some former bean countin' colleagues, Katie and Christine, in Williamsburg to catch up over a casual bite at El Almacén. El almacén is Spanish for "general store," a detail "referenced most in the old-time-shop décor like the front counter, chalkboard menus, and a glass ingredient cabinet." 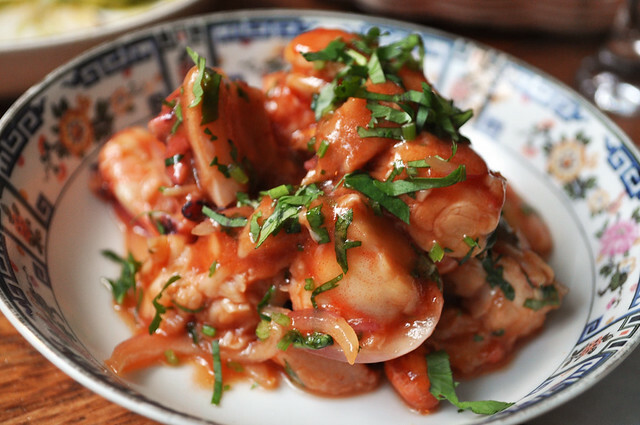 Additionally, the menu at El Almacén is very share-friendly, encouraging a tapas-style experience for the entire table. 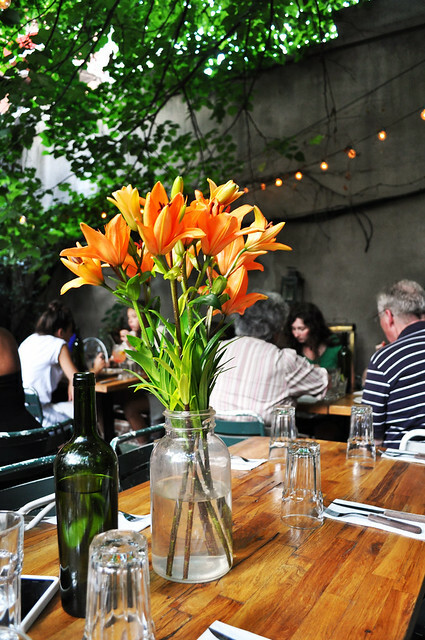 The ambient, more intimate part of the restaurant, which is positioned inside upon entering the restaurant, leads to an outdoor patio with greenery and a little garden. I had been here previously on an impromptu visit with Linda (a waitress at Sweetwater Tavern had highly recomnmended it), and we both loved it. However, during that visit, I didn't have my camera on me at the time, so I wanted to come back to properly document it, especially since we were seated in the restaurant's outdoor patio area where the natural light was perfect for some nice shots. To start, we obviously had to have some freshly made guacamole with avocado, tomato, cilantro, onion, and smoked jalapeño. 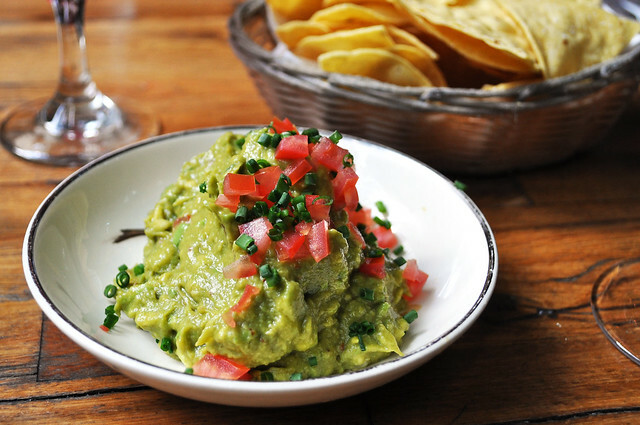 What I really like about this particular guacamole is that you can really enjoy the buttery texture of the avocado as well as the cohesively refreshing taste of the entire thing without the overpowering of raw onion, cilantro, and lime juice. The tomatoes were finely cubed, making it easier to take generous scoops of the guacamole without running into trouble. Overall, it hit the proper balances in the right places, which could explain why every morsel of it was gone before our next small plate came out. Christine requested we try the ceviche mixto -- a lightly marinated combination of shrimp, octopus, raw hamachi (yellowtail), red onion, cilantro, lime, and maiz cancha (i.e., corn nuts). For a ceviche, I thought the pieces of sea fare were a bit larger in size than I'm used to, but then again, this is probably a good thing as most restaurants skimp in quantity. The marinade had a nice overlay of flavor -- a bit sweet and salty -- and my favorite pieces were the cubed hamachi. We were given some bread chips -- I think they were to be eaten alongside the ceviche. 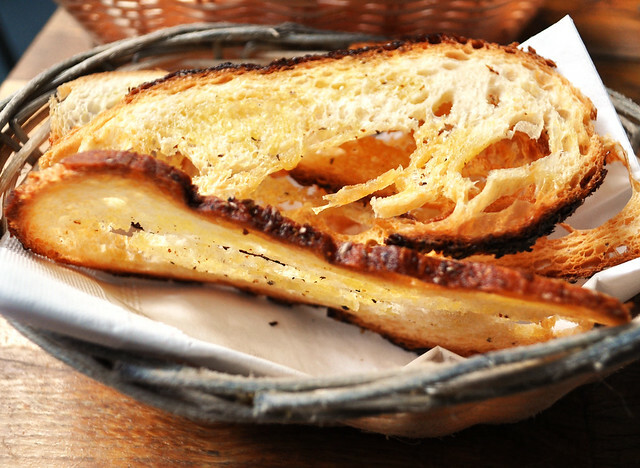 Really crispy and crouton-like, only thinner. 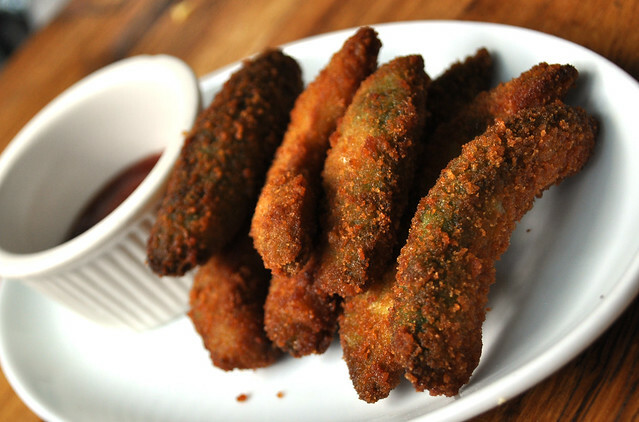 We also got a side order of avocado fries with ketchup. Yup, another reason why "fried anything" is always gonna be good, and they were very tangy with the ketchup (great combo!). These thick slices of avocado were ripened to a balanced consistency of firm and soft, evenly battered, and then fried to a golden browned, crispy skin -- not soggy one bit! If you're looking for something you and your guests to indulge in, these would be one of those things. We also decided to try the empanadas. As each order came with two, we went with our server's recommendations: one with spinach, cheese, and corn then another with hand-cut steak, egg, and cheese. While Katie preferred the spinach one and Christine the steak one, I came to like both, each for its different flavors. 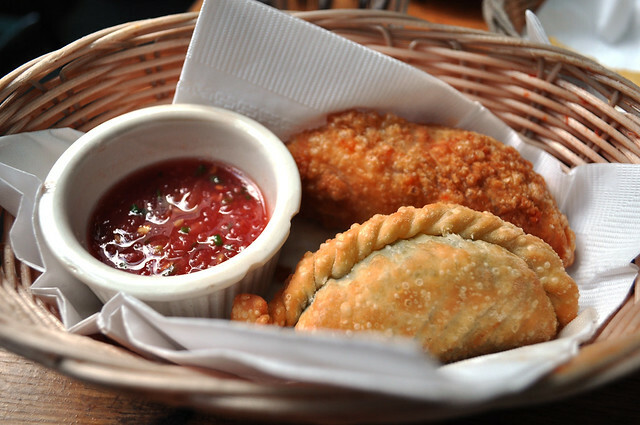 The empanadas' pastry exterior was dense yet flaky, making it easy to cut and bite into. The first one reminded me of a more refined, more gourmet artichoke dip-like interior, creamy from the cheese and sweetened up by the little kernals of corn. The other one was lasagna-like with an Argentinian flair of course. Even though the three of us shared both of these, it was quite filling, so be wary if you're planning on ordering it for yourself! Either way, these are very good empanadas! Findings: Even on my second trip to El Almacén, I once again left with a glorious impression of its Argentinian-Mexican fare. It really is a lovely place to catch up with friends, al fresco, over small plates full of delicious surprises. Must-orders for the table? Guacamole, avocado fries, and a chocolo for you and each of your guests (don't worry -- the avocado dishes are not redundant!) -- the rest is up to you. Almost like one of those choose-your-own ending stories we all used to read as children -- your "food story" at El Almacén will be determined by the choices you make obviously, but know your palate will be pleasantly entertained no matter what these choices may be. Each time you come back, you'll want to retrace the same tracks you made in your previous stories (that choclo alone is surely worth many repeats), but you will also wish to set a new adventure for yourself (perhaps a new ceviche, or something heartier like their multi-ounce steaks?). 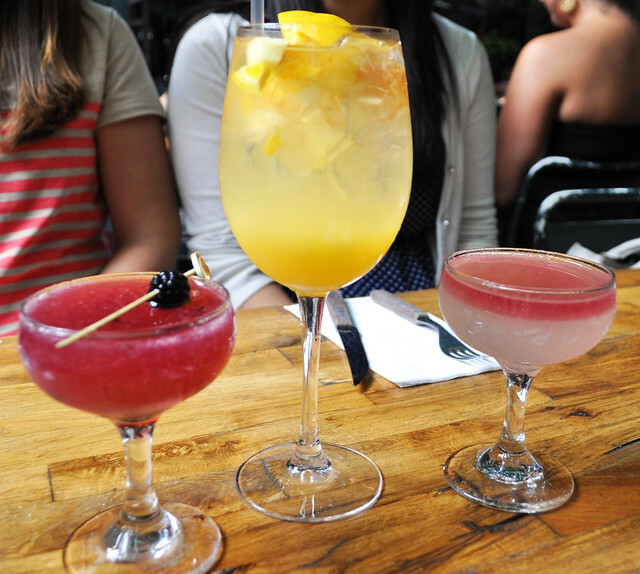 Cocktails are a must, and the best time to go is during happy hour so you can enjoy two cocktails for the price of one, guilt-free. Price point: $8-$15 for each small plate, $8 $5-8 for each side to be shared, $9-10 for each two-for-one drink during happy hour. 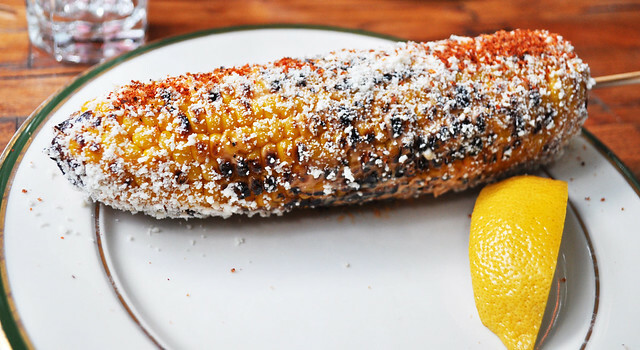 Really great small plates of Argentinian-Mexican fare. The choclo and avocado fries are a must because they will blow you away. Notable guacamole, ceviches, and stuffed peppers.